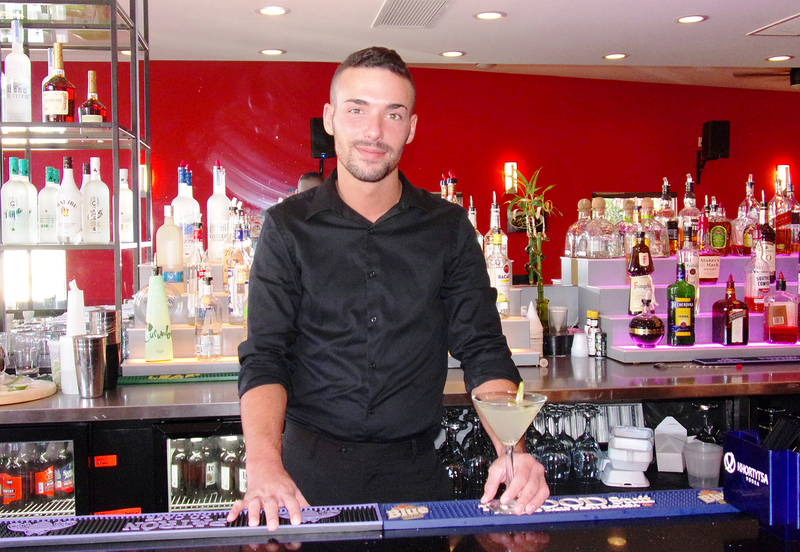 Meet Trevor Bowling, this month’s bartender. Trevor was born right here in Johnson City. A graduate of Windsor High School, he continued his education in Business Law at SUNY Broome. Growing up in Windsor you might have found Trevor boating or kayaking on one of the area’s waterways. Today his interests lay in discovering areas along the east coast whether it be the shores of Miami, along the banks of the St Lawrence, or just trying out new restaurants in small towns anywhere in between. Next on his bucket list is Australia. But, wherever his travels lead him, Trevor enjoys meeting new people and learning the local history. That’s one of the reasons he chose to bartend, everyday he gets to meet someone he didn’t know the day before. And that sounds pretty good to us!! Get ready to enjoy this unique treat brought to you by Thai Time and prepared for us by Trevor. Muddle 3 slices of cucumber in a mixing glass with a dash of simple syrup. Shake and pour into a martini glass garnished with a cucumber wheel.